live your authentic life. an interview with bridget crocker. 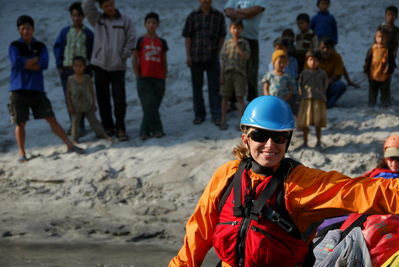 I met Bridget in January of 2007 in India, while on a rafting trip on the Siang River with River India. Bridget was one of our fearless river guides. When I met Bridget and got to know her throughout the trip I could not stop thinking about her beauty. Not just her physical beauty but her intrinsic beauty as well. She is confident, full of integrity, true to her self, wise, and funny. When you are in her presence you can not help but feel calm. You want to ask her a bazillion life questions in the hope that she will then answer some of your nagging questions about life and love. As I look back on people who have shaped my life for the better, I can not help but think of Bridget as one of those people. I know you will feel the same after reading her interview about how she truly lives her authentic life. On assignment for Trail Runner Magazine. Santa Cruz Island, California. I was born on the coast in California and raised in Jackson Hole, Wyoming. I grew up next to the Snake River, and became a river guide on that river when I was twenty. From there, I traveled to Zambia to work on the Lower Zambezi River and wound up spending the better part of three years in Africa. Throughout my twenties I worked as a guide in Ethiopia, Chile, Argentina and Costa Rica and all over the western United States. I also co-founded and owned an adventure travel company that ran exploratory river trips in Peru and the Philippines. Authenticity has a lot to do with integrity – that is, doing what I said I was going to do, when I said I was going to do it. Aligning my actions with my aspirations is a constant exercise that facilitates authenticity. I like the word “aspiration” because its root is Spirit; I have never been led astray by following Spirit. Can you describe the path you took to get to the place where you are today? As in, how did you find your calling? There’s a popular Tolkien quote, “Not all who wander are lost,” which, at one time, I wielded like a shield whenever asked about my rolling stone lifestyle. The truth is, I really struggled with finding my place in the world, and I thought that if I just kept moving, I would eventually stumble onto my utopia, as if it were a lost treasure. I know now that I create my own dream place. Today, I live more in the vein of Thoreau, “Go confidently in the direction of your dreams. Live the life you have imagined.” The wandering helped me to define my dreams and to see what the options were so that I could imagine the life I wanted to live. I had an experience in Assam, India at the Kamakyha Temple where I was confronted with having to be very clear about my calling, or path. The temple is built on top of a cave with a spring, and it’s believed that if you reach your hand into the spring and wish for your deepest desire, it will come true. Standing there in front of the spring, with my hand in the water and one chance, I had to get really honest really fast about defining my deepest desire; something that I had danced around and gone to the ends of the earth to discover. There, in the hidden shroud of the cave, I wished to be a mother and create a family with my husband. Within a year and a half, we were married and expecting our first child. How does your current career and soulful journey reflect your authentic self? Some time ago, I came up with a defined purpose for myself and it serves as a sort of mission statement for my career: To create harmony between people, cultures and nature through the sharing of outdoor sports and stories. I only take on projects that align with my purpose and it’s allowed me to focus on what excites me. 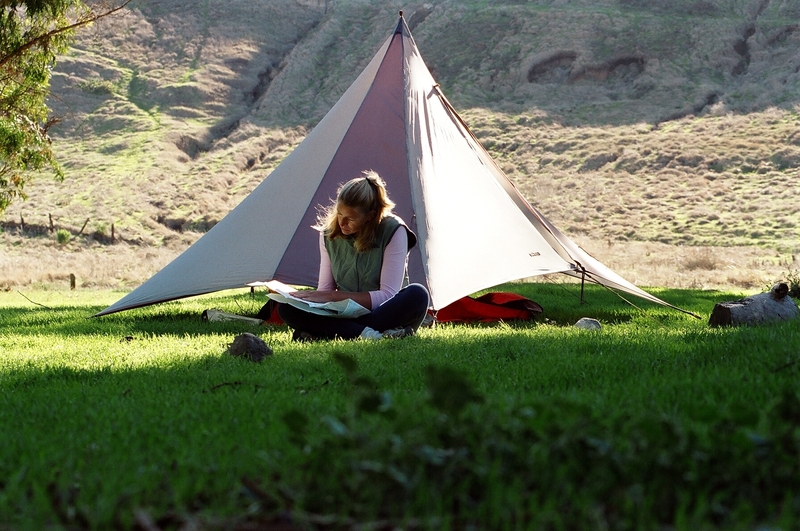 Now that I have a family, I’m writing about having outdoor adventures with my kids on my blog, which is incredibly fun. Who inspires and motivates you to continue your path to being your authentic self? When it comes to self-transformation and pursuing an authentic self, my greatest inspiration has been my dad. No one I’ve ever met has worked as hard as he has to improve himself. His ability to be honest about his strengths and weaknesses is remarkable, and even more remarkable is his courage in implementing different behavior to get different results in his life. I find inspiration and seek out mentoring from others who have what I want; for example, I have a friend who has been happily married for nearly 30 years, and I go to her for relationship advice. When I became a mother, I was terrified that I wouldn’t be able to continue traveling and living adventurously. 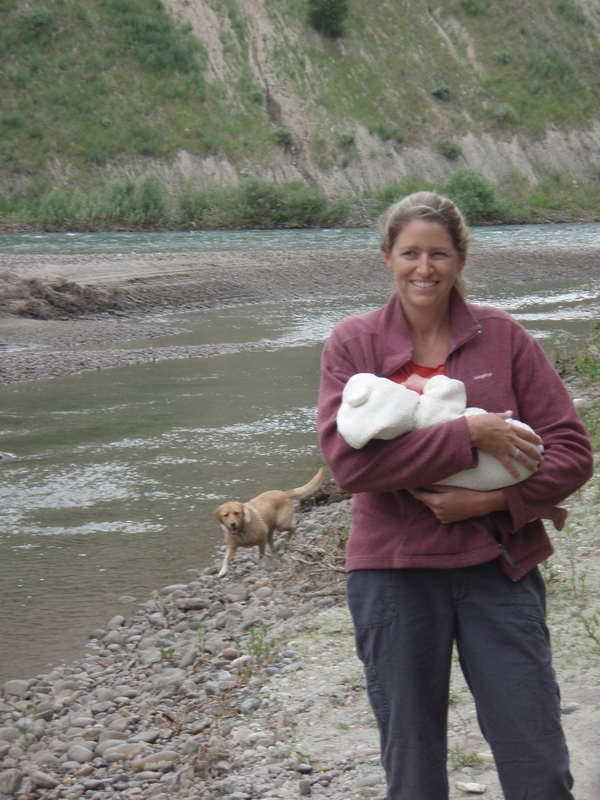 I consulted my friend Damara Stone-Goddard of Bio Bio Adventures (who is a river guide and mother) after seeing pictures of her on Facebook pushing her kids around the cobbled streets of Cuzco, Peru in strollers. She gave me some great advice about how to merge the adventurous self with the mother self. How do you ensure that you maintain your own authenticity, when often it can be a struggle? Becoming a mother has prompted an enormous transformation, and I’ve been forced to reevaluate and rearrange my former notions of self and authenticity. When I get uncomfortable, angry, resentful or anxious, these are signals to me that something is out of alignment. I do a journaling exercise where I write out, “I am resentful that. . .” followed by “I have fear that. . .” alternating the two until I get to the core of what’s really bothering me. The first couple rounds are usually ego stuff, but if I push through that I can get to the source of the pain, which generally is an untruth I’m unknowingly telling myself or someone else. Becoming conscious to the untruth allows me to then take action and restore my authenticity. For people struggling to find their own authenticity, what advice can you offer? I am a big fan of self-help books, my favorite being “The Power of Intention” by Wayne Dyer – I listen to the audio version on road trips. I also participated in a seminar and course series through Landmark Education which helped me hone in on my purpose and see more clearly the things I was doing to sabotage myself. These two things really helped me get started on the path of authenticity. If you had to use one word to sum up your year, what word would that be and why? Ultramarathon. Maintaining my writing career while taking care of two babies under two has pushed every boundary I ever had physically, emotionally and mentally. Lastly, where can we find you in the web-o-sphere? Lunch stop on the Siang River. Pasighat, India. Bridget, thanks so much for participating in the series. If YOU would like to take part in the interview series or know someone who you believe truly lives an authentic life, please send me an email: amanda[dot]coolidge[at]gmail[dot]com. Pingback: Do You Believe in The Paranormal?